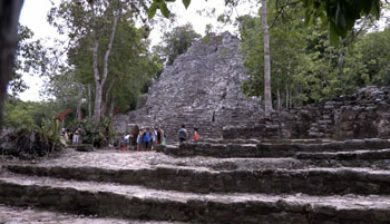 (Spanish: Cobá) (pronounced cō-bǝ) is an ancient Mayan city on the Yucatán Peninsula, located in the Mexican state of Quintana Roo. 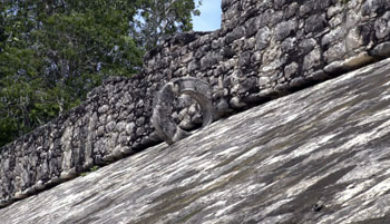 The site is the nexus of the largest network of stone causeways of the ancient Mayan world, and it contains many engraved and sculpted stelae that document ceremonial life and important events of the Late Classic Period (AD 600–900) of Mesoamerican civilization. 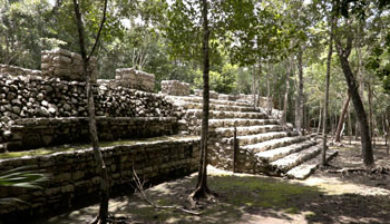 The adjacent modern village bearing the same name, reported a population of 1,278 inhabitants in the 2010 Mexican federal census. 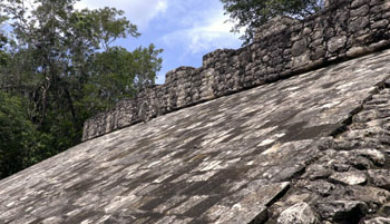 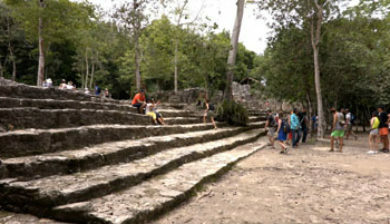 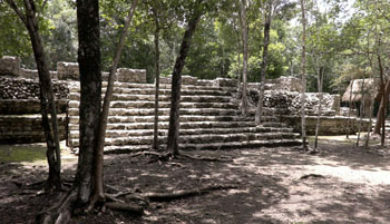 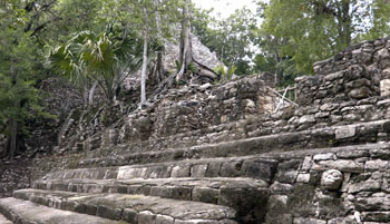 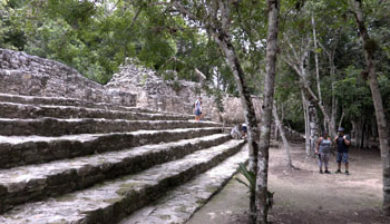 The ruins of Coba lie 44 km (approx. 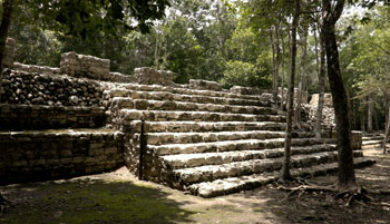 27 mi) northwest of Tulum, in the State of Quintana Roo, Mexico. 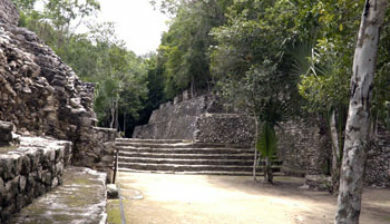 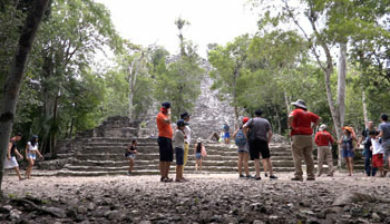 The geographical coordinates of Coba Group (main entrance for tourist area of the archaeological site) are North 19° 29.6’ and West 87° 43.7’. 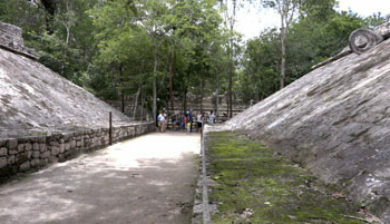 The archaeological zone is reached by a two-kilometer branch from the asphalt road connecting Tulum with Nuevo Xcán (a community of Lázaro Cárdenas, another municipality of Quintana Roo) on the Valladolid to Cancún highway.